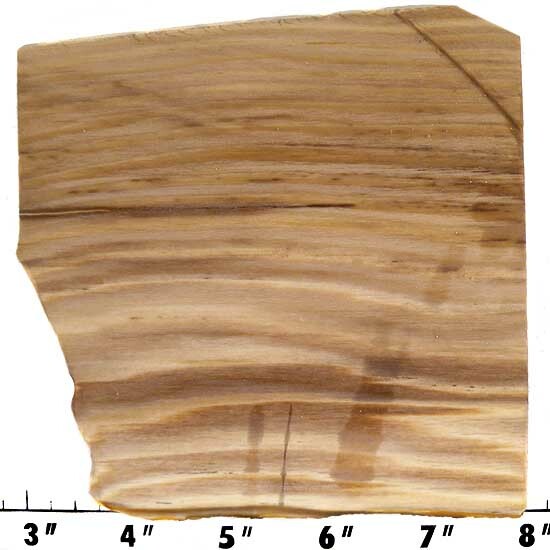 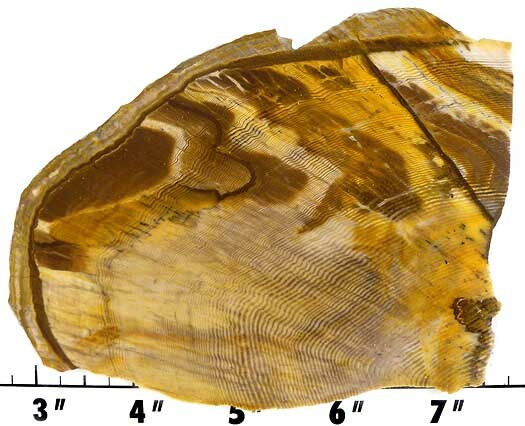 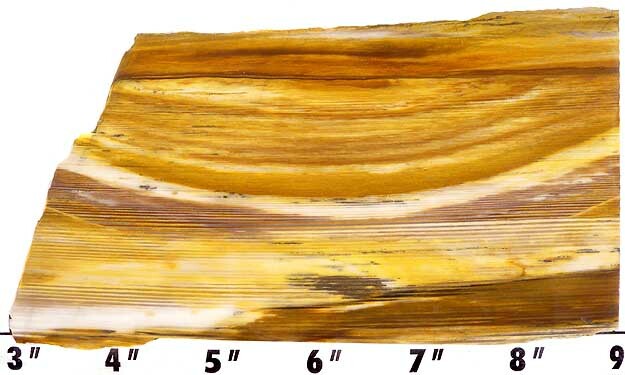 Petrified wood is agatized replacement of fossil wood. 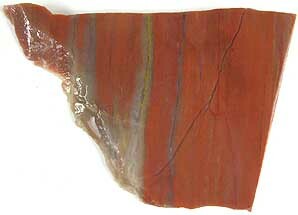 It cuts and polishes like agate. 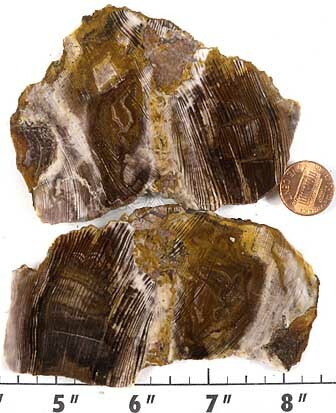 So, it takes a fine polish with cerium or tin oxide, but will also polish well with diamond. 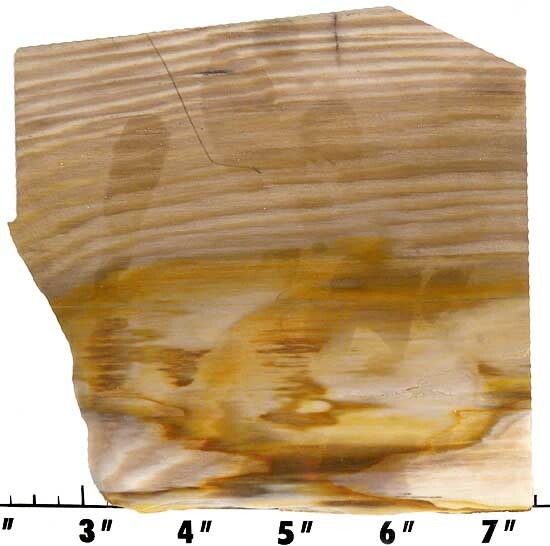 Measures approximately 3-1/2" x 3-1/4" x 7/32" thick.